Contrary to popular belief, prospective employees do not earn their positions by dueling Gabe Newell in Counter-Strike. Valve is, to put it simply, a very unique company. Ever since its employee handbook was uploaded for all the internet to see, game developers everywhere have wondered about the goings-on of daily life at the studio behind Half-Life and Steam. How does a company with no bosses or explicitly defined roles manage to do ... anything? 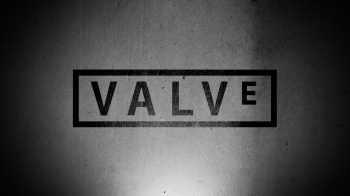 Yanis Varoufakis, economist-in-residence at Valve, has decided to sate our curiosity by explaining a few things about Valve's progressive infrastructure: how they hire new team members, and how they decide to fire them. Varoufakis says the hiring process is "very simple." "Let's say you and I have a chat in the corridor," he describes. "The result of this chat is that we converge to the view that we need an additional software engineer, or animator, or artist, or hardware person. Or several of them. What we can do is, we can send an email to the rest of our colleagues at Valve and invite them to join us in forming a search committee that actually looks for these people without seeking anyone's permission in the hierarchy, simply because there is no hierarchy. "And then we form spontaneously the search committee, and then we interview people, first by Skype, and then we bring them in, if they pass the test, to the company for a more face-to-face personalized interview. And anyone who wants to participate does participate." Once the day-long interview process is complete, the entire committee discusses the candidate until a group consensus can be reached. Of course, the ugly flip-side to the hiring process is the procedure for firing people. "It does happen," Varoufakis admits. "I've seen it happen. And it's never pretty." Like the communal methodology of hiring new employees, there has to be a significant agreement among the staff that somebody has to go. Even then, it's often not for the reasons you may think. "In many occasions people simply don't fit in not because they're not productive or good people, but because they just can't function very well in a boss-less environment." In these cases, the employee has a number of talks with their peers about the problem, and if there's no other option, an "attractive offer" is made to the person and they start preparing a new resumÃ©. It's strange to imagine being fired by your co-workers, but it seems like a fair enough system when the staff is built from reasonable, peer-selected individuals. It's a testament to Valve's employees that the system even works at all with no formal hierarchy, but it looks like they're doing pretty well for themselves. Still, you probably shouldn't walk up to your boss tomorrow and recommend ditching the whole "chain of command" thing - it might not go over so well.